This apparently an innocent works diversion indicator is really an undercover radar camera, and are being put speficially in those areas where maintenance work limitations are 20 km / h 30 km / h and are catching like flies those driving at dangerous rates of 40 or 50 km / h. It will incur a 200.00 Euro fine and a couple of points. 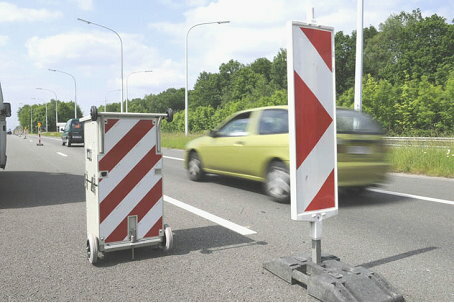 Is being used even on highways with no works where they put a limitation, a pair of cones and wait 300 m ahead to catch the suckers. The are putting in all Spanish roads and revenue figures are soaring.